Back in the early eighties, my mom tried her hand at making jams and jellies. Unfortunately my dad dubbed the products "Not like my mom's jams." The canning materials went into the basement where they gathered dust for the next twenty-five years, until I went poking around. Which is why last year, I inherited a large canning pot and three boxes of vintage Ball mason jars. I have fuzzy memories of my grandmothers basement. It was dark, dusty and scary for an eight-year old. It was full from front to back with old furniture, boxes of Christmas decorations and musty vintage clothing. One corner also held a make-shift shelving unit, built into the stud of the walls, that was filled from floor to ceiling with dusty mason jars. From what I remember, they were all filled with peaches. I have no idea why. My grandmothers house was in Upstate New York, where there are a dearth of peach trees. If she had jars of jam in her basement, they looked like peaches to my young, frightened of the dark, eyes. This weeks challenge was to channel my jam-making grandmother, using my moms vintage canning supplies and churn out modern preserves. There are so many varieties of jams, jellies and preserves available in the grocery store and at the farmers market, I didn't want to make a plain, single fruit jam. Why make plain strawberry jam when I can buy fresh, locally made strawberry jam at the farmers market right around the corner from my house? There are a few reasons why you could make all of your own jam. 1. 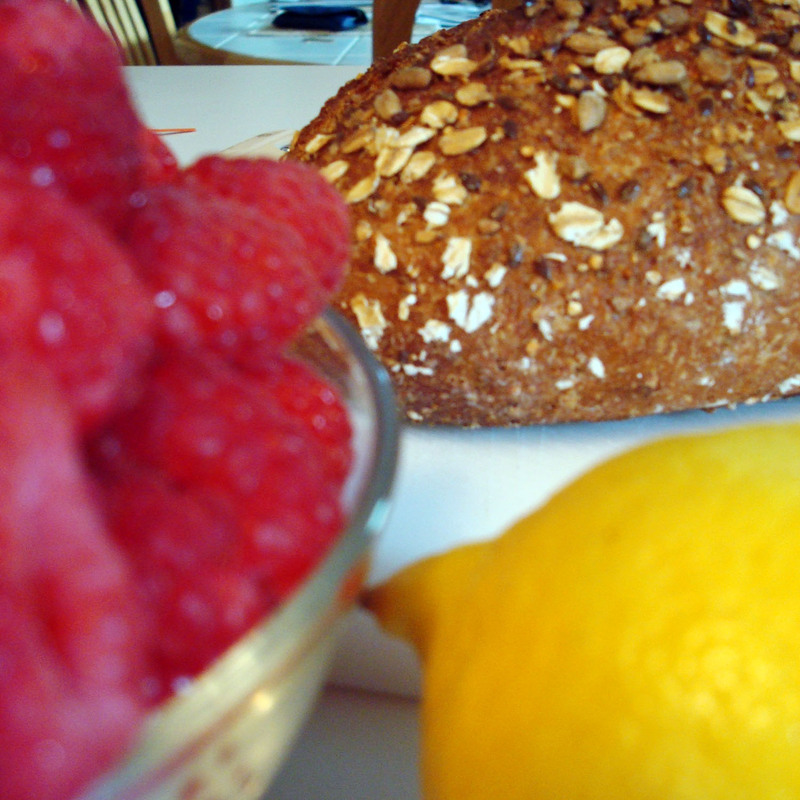 Using fresh, in season, organic fruits gives the most flavorful product possible. 2. 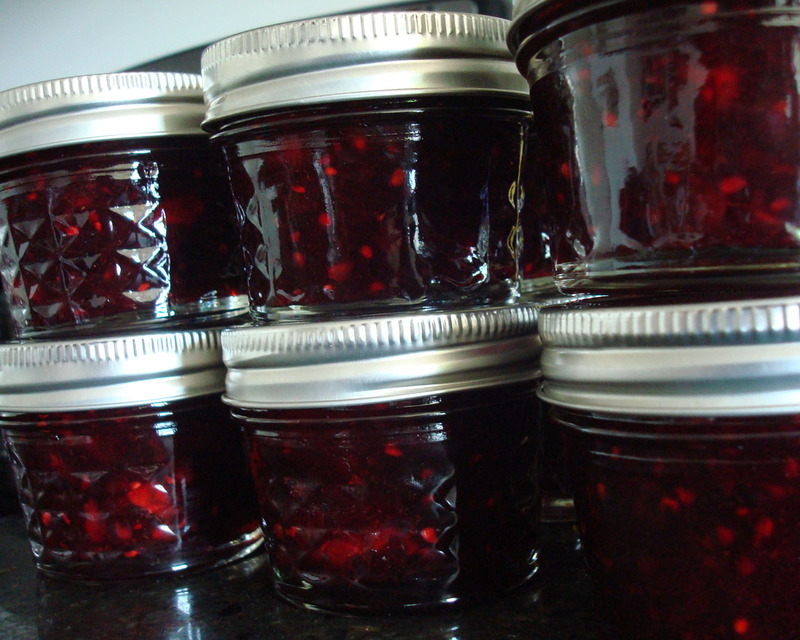 Jam-making and canning is a simple process. 3. 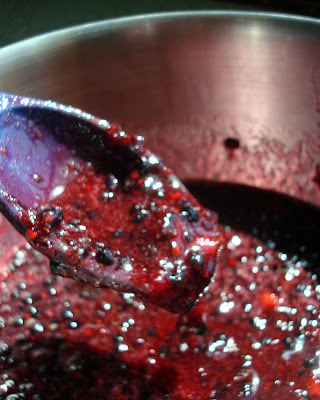 Make a batch of homemade jam - you have presents for everyone! For my canning-fest, I chose two very different flavor combos. First - fresh and bright Strawberry-Lemon preserves. 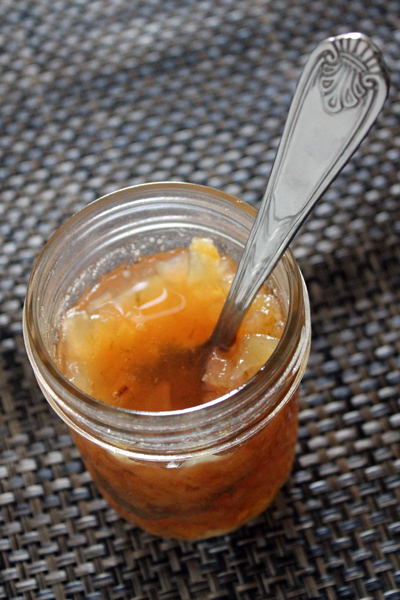 Next - tangy ginger-pear preserves. Yes, I decided to go with preserves for both of my jams. Personally, I like a bit of chunky texture to my spreads and therefore I'm not really a jelly fan. 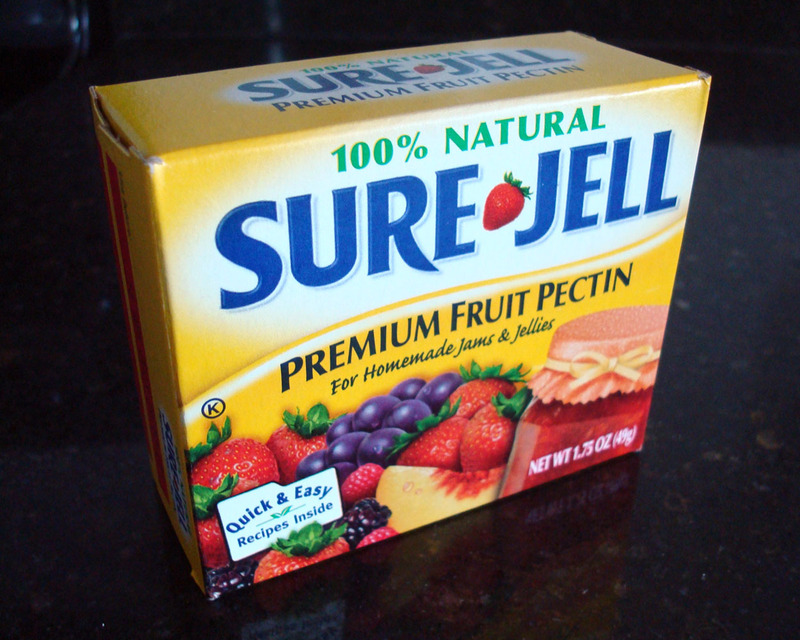 I also didn't want to go with any tricky recipes that required added pectin from apples or the baking aisle. Maybe I'll give jelly a go once we finish these jars of jam! Results - the strawberry-lemon jam was bright and fresh. The recipe was super simple to follow and the jam came together very quickly. This was exceptional on my morning English muffin and I will have no problem finishing the two jars that I made. 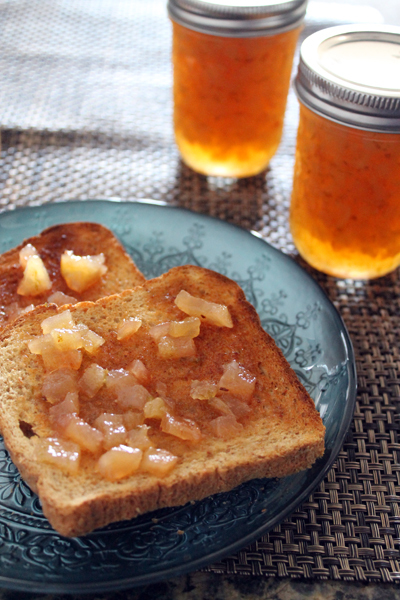 The ginger-pear preserves took a bit longer to make because the pears were very juicy. 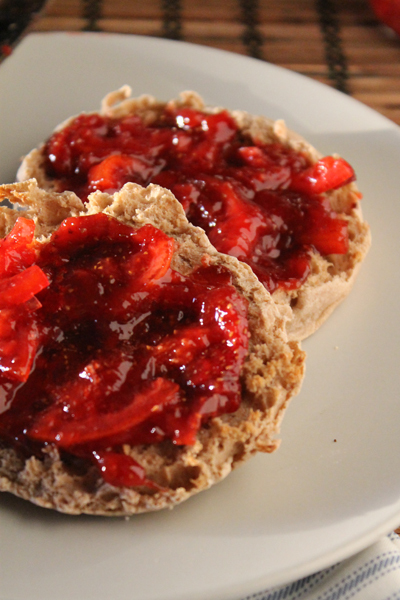 Once complete, this jam made a striking change in a traditional peanut butter and jelly sandwich. 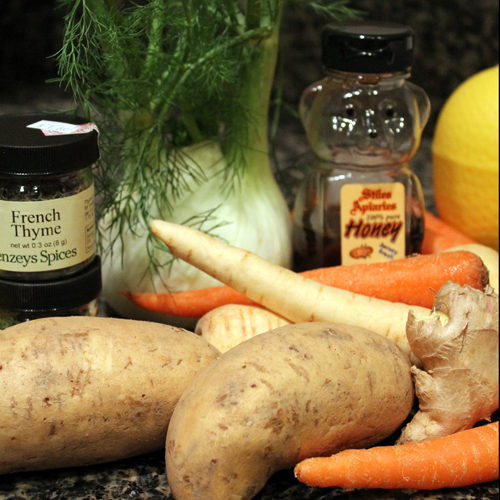 When it comes to jams, jellies and preserves I have two suggestions - Head to the farmers market or "Pick your own" farm and stock up on local, in season produce. 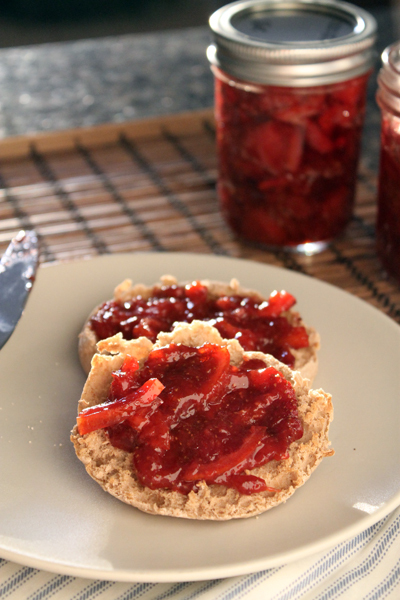 And, when making your own jams, try something a little different, you can get strawberry jam anywhere. Important! 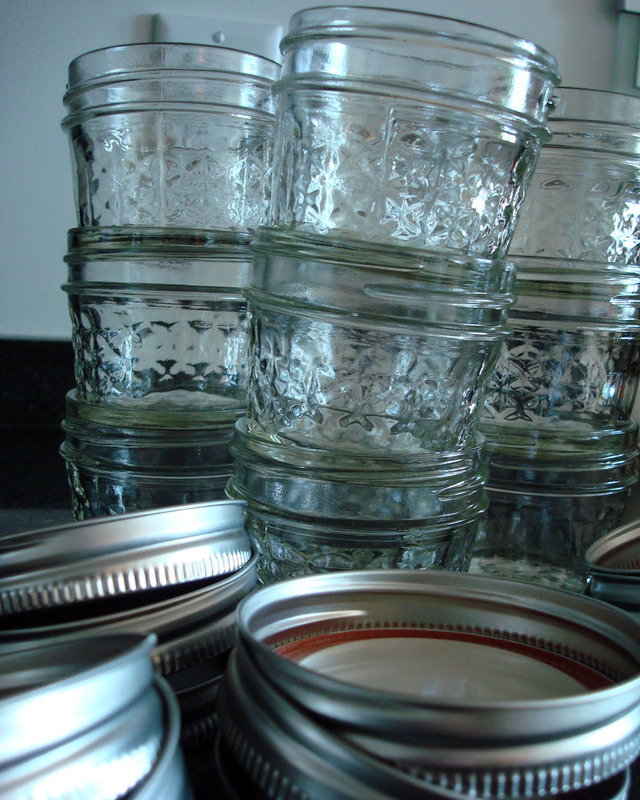 When it comes to canning, you want to be sure to follow canning rules to ensure a safe product. To sterilize your jar and lids - Bring a large pot of water to a boil, it will probably take between 15-30 minutes for your water to boil. Get it ready in advance. Add your jars to the pot and boil them for 10 minutes. Remove with tongs and pour out the water. Let jars cool on the counter top on a kitchen towel. Place lids in a heat-proof container and pour a few ladles of boiling water over them. Try not to touch the inside of the lids with your fingers. Once the jars are full, return them to the water bath and process for the required amount of time. Remove them from the water bath and set them on a kitchen towel. Let the jars sit at room temperature for 12 hours. You should hear the jar lids pop closed after a few minutes. If the lids haven't sealed in an hour, put those jars in the fridge. Cut the ends off of the lemons. Cut lemons in quarters and remove the seeds. Slice lemons very thinly, about 1/8-inch thick. Gently toss strawberries, lemons and sugar in a large bowl. Cover and put in the fridge overnight. Prepare 2-3 1/2-pint jars and their lids. 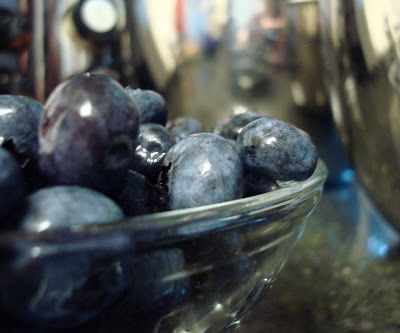 Combine fruit with 1/3 cup water in a large saucepan with high sides. Bring to a simmer and cook for 5 minutes. Pour fruit into a colander and collect the liquids in a bowl below. Return liquids to the pan and bring to a boil. Cook for 15 minutes until the liquids are reduced to a syrup. Return fruit to the pan and bring to a simmer. 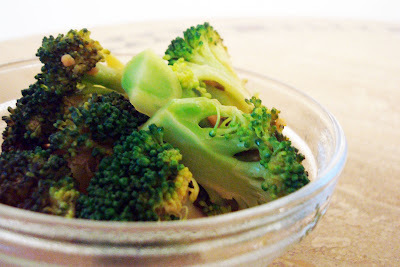 Stir frequently and cook for about 20-25 minutes. The strawberries should hold their shape, but be shiny and glossy. Remove jars from the water bath and ladle hot water over the lids. Add preserves to the jars. Wipe the lip of the jars clean with a wet paper towel. Place lids on the jars and screw on collars. The lids should just be finger-tightened. Process in the water bath for 5 minutes with the lid on the water bath. Remove jars from the bath and let sit on a kitchen towel. Do not disturb for 12 hours. You can store the jam in the pantry. Store opened jars in the fridge and eat within a few weeks. Prepare 3-4 1/2-pint jars in a water bath. Place 3 spoons in the freezer. In a large, non-reactive, saucepan, combine pears, lime zest, lime juice, sugar and ginger. Bring to a boil over medium heat. 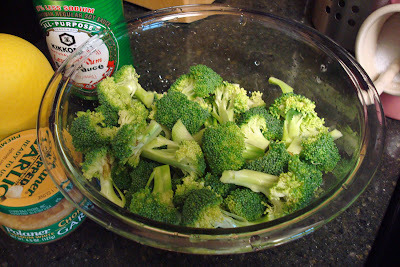 Stir frequently and cook for 15 minutes. 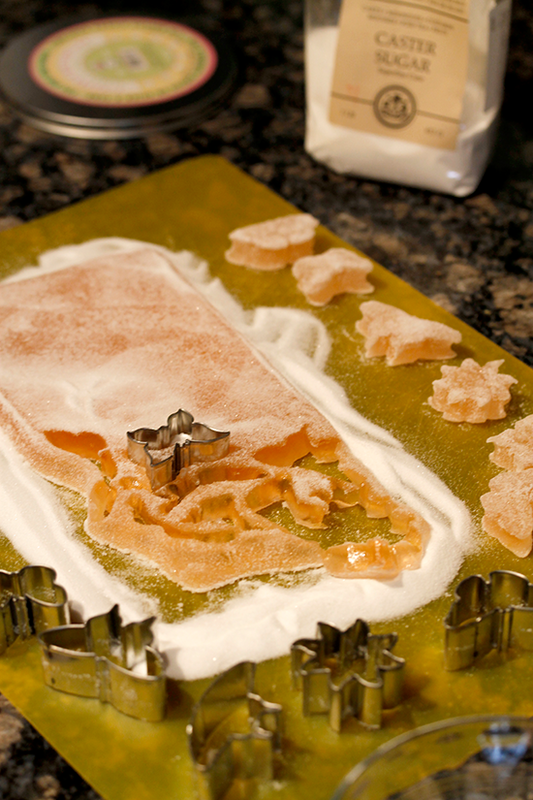 Test the gel - Take one of your frozen spoons and scoop up some of the liquid from the pan. If the liquid drips off in small drops, the gel is not ready. Cook for another 5 minutes, stirring constantly and test again. If the liquid falls off the spoon in a sheet, it it ready to can. Remove jars from the water bath and ladle jar into the jars. Wipe off the lip of the jars with a wet paper towel. Place lids on the jars and screw on the collars. Process jars in the water bath for 10 minutes the the bath lid on. Remove the lid and let boil for 5 more minutes. Remove jars from the bath and place on a kitchen towel. 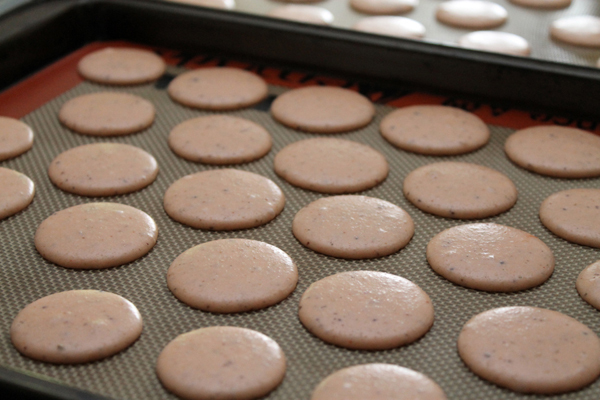 After 1 hour, check to see if the lids have sealed (the tops should not pop when pressed down). If any jars have not sealed, place them in the fridge immediately. Do not disturb the sealed jars for 12 hours. Sealed jars can be stored in the pantry. Opened jars should be stored in the fridge. 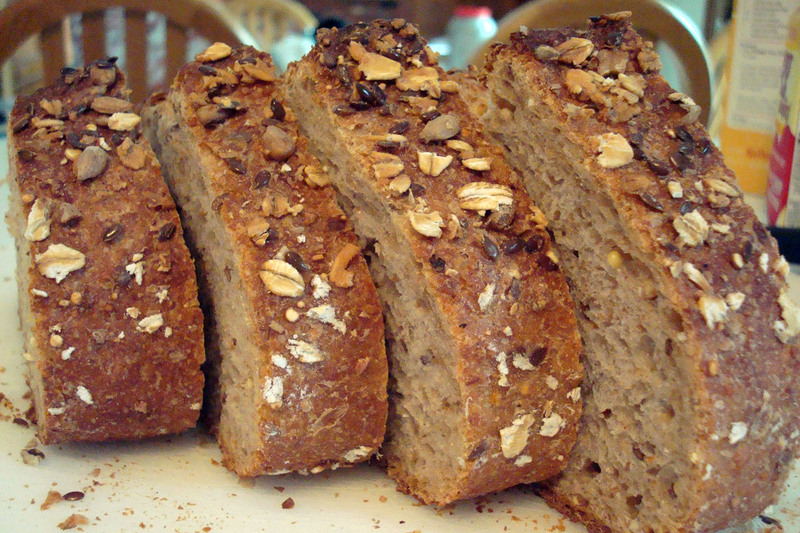 Try this with peanut butter for a new take on your classic PB&J! The dairy section of my local grocery store contains at least a hundred different varieties of yogurt. I'm thinking that this is not unique to my corner of the world. 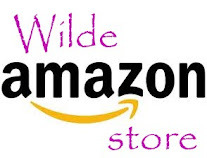 I'll bet that your local store has a similarly large selection of yogurts. From fat free to full fat, organic and chemical-rich, flavors varying from strawberry to chocolate to key lime. 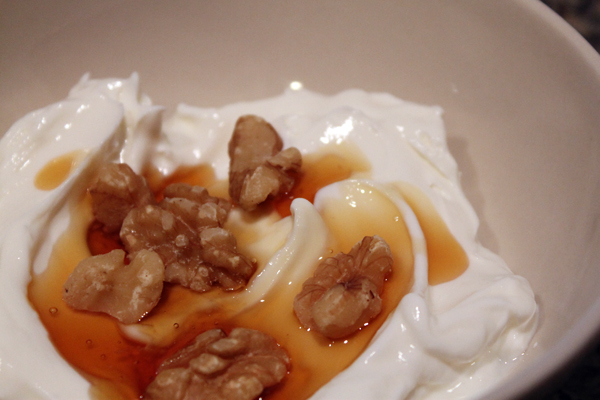 With this endless sampling of yogurts it was a big question to answer this week, why make your own yogurt? I can give you not one, but three reasons. From my experience, a half gallon of milk will yield approximately six servings of Greek yogurt and 8 servings of regular yogurt. If you decide to make the entire half gallon of milk into Greek yogurt, you save $8.25! Put that money in your piggy bank! 2. It's so easy! 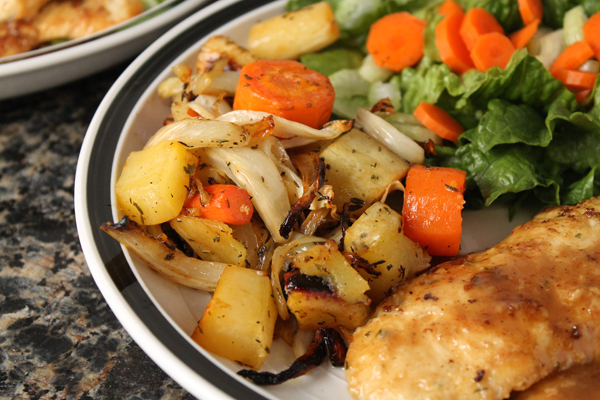 If you have a food thermometer, this is a breeze to do. If you are without thermometer, do not worry. You can still do this. The hands on time for preparing this yogurt was so minimal, I was able to do several other things at the same time. 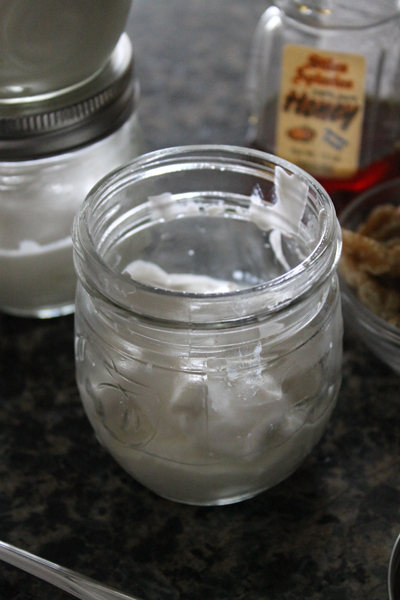 If you can put milk in a pot, the transfer it to a jar, you can make yogurt. If you own any of the following - an oven, a towel & a pot, a yogurt maker or a heating pad - you can make yogurt. If you have a container of yogurt in your fridge, you can start making yogurt right now. 3. It's so delicious! I was a little skeptical at first, thinking that my yogurt would come out all funky and I would be wasting my time. However, once I popped open the jar of my freshly made yogurt, I was a skeptic no more. I dipped my spoon in and tasted the fresh yogurt and active cultures and was pleased at the yogurty flavor. More intense than most store-bought varieties, you can't get fresher than this. The flavors options are only as limited as your imagination. 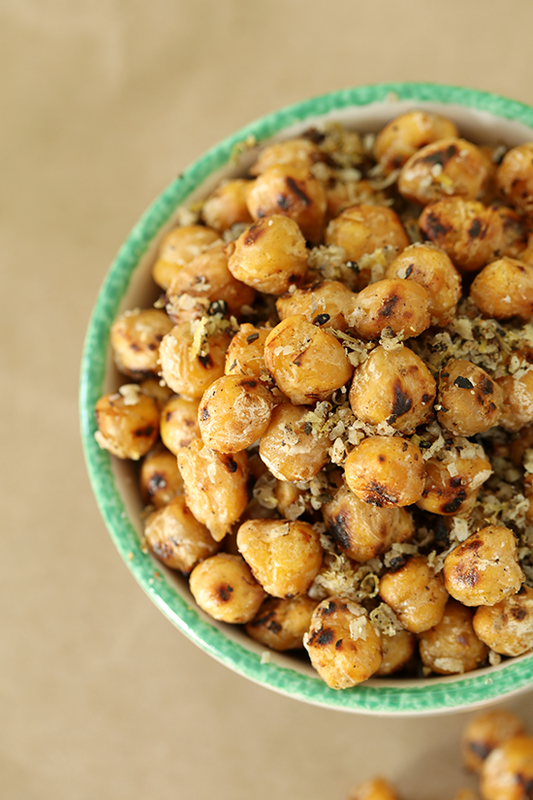 Keep it simple and drizzle on honey, sprinkle with walnuts and cinnamon. Make it fresh and puree seasonal fruit for a topping. 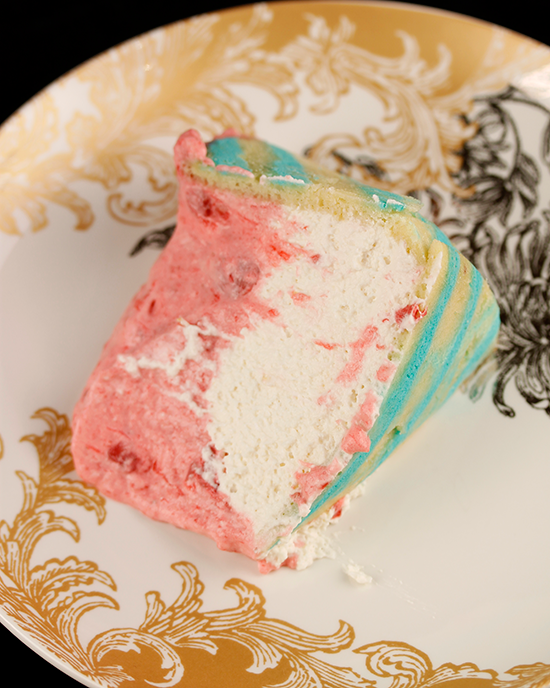 Take it over the top and blend it with a little sugar and cream cheese. 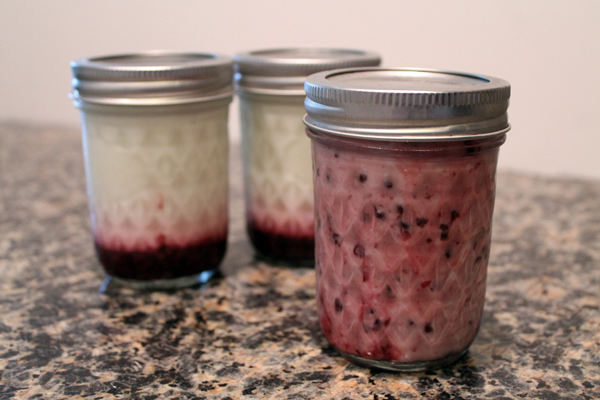 There we are, three wonderful reasons to start making your own yogurt! I have been enjoying fresh Greek yogurt all week with my breakfast and I couldn't be happier. Would I do it again? I already have. 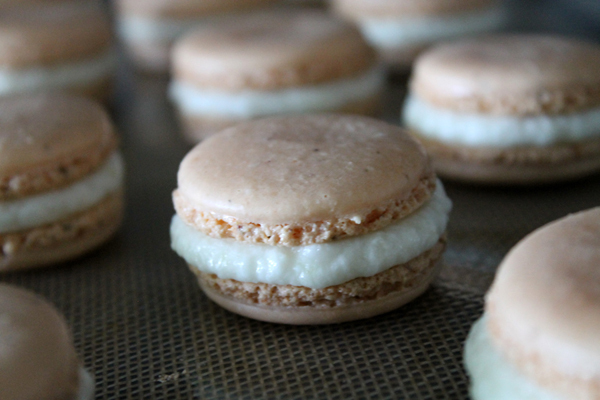 Wednesday I left you with the question of whether I could reproduce my workshop macarons at home. Today we have the answer. Yes, I can! Sure, it was a little more difficult to do this on my own. I was wishing that I hadn't gotten rid of my hand mixer while I was whisking the meringue. All on my lonesome, my arm got pretty tired! I had to keep switching between left and right arms. I also learned that I am not ambidextrous when it comes to whisking things. My left arm is terribly uncoordinated and not at all good at whipping egg whites. I'll have to give it a bit more practice. The batter was flowing like lava, I think. 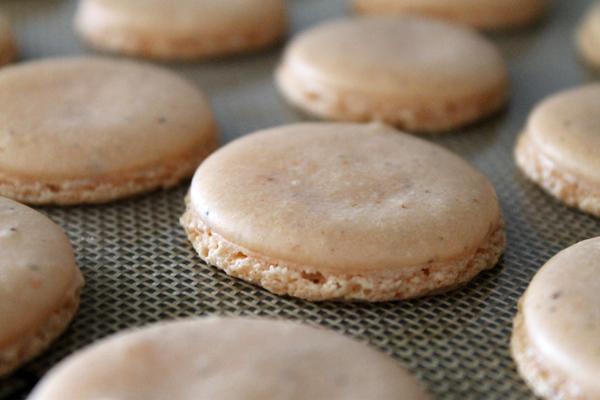 I'm still a fan of the disappearing line method for testing the batter consistency. 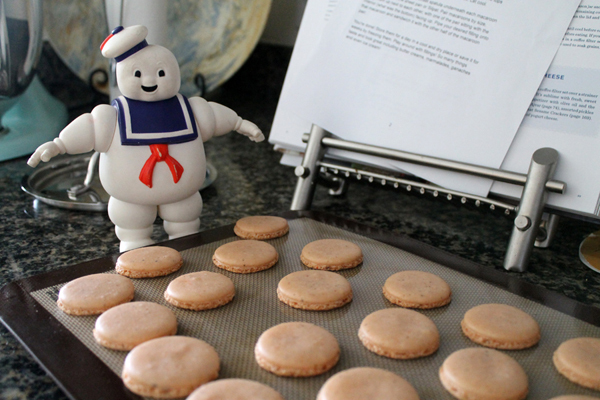 The batter piped well, forming nice round shells. The shells dried up in thirty minutes and when I put them in the oven I was hoping for the best. With my fingers crossed, I set the timer for seven minutes and walked away. 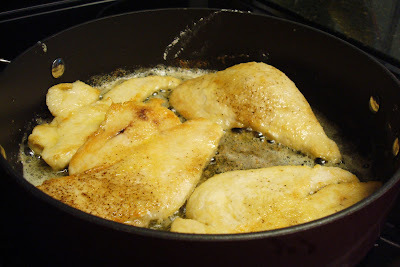 When I came back to turn the pans I was thrilled to see round tops and pretty, frilled feet! I can do this at home! 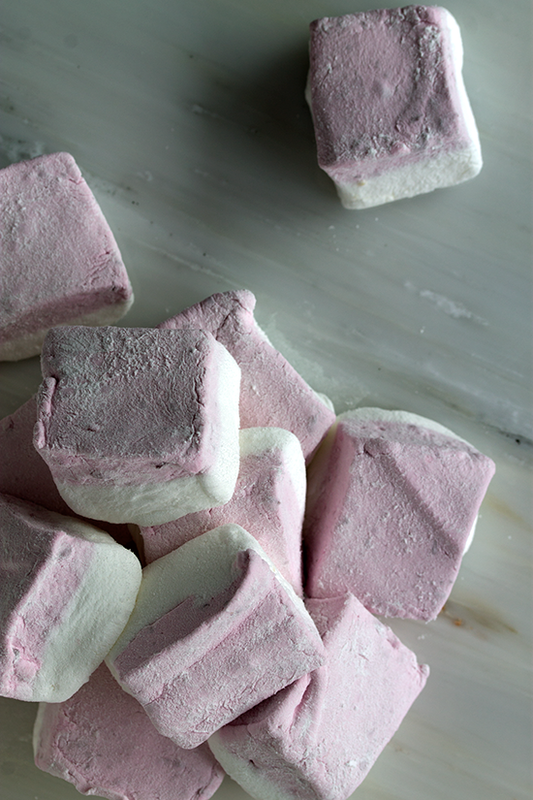 While this isn't simplest recipe, requiring you to heat the meringue over a water bath, I choose to go with a consistent recipe rather than an easy, unreliable one. 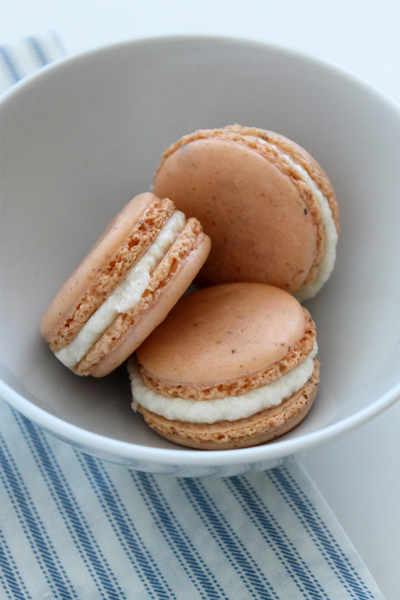 Haven't found a favorite macaron recipe yet? 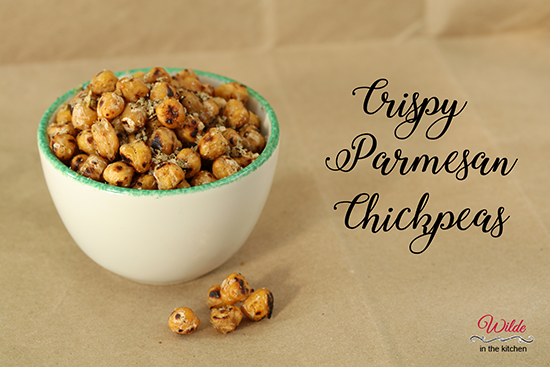 Give this one a try! I know that this is my go to recipe from now on. Thank you DessertTruck! I have to say, sometimes I am disappointed by a recipe. It holds all that promise, sitting there on the glossy pages of a new cookbook. I have all the ingredients in the fridge and pantry. It seems as though everything is coming together perfectly. Then that first taste, disappointment. That is what happened with these muffins. Look at the pictures, they aren’t even that spectacular to look at. 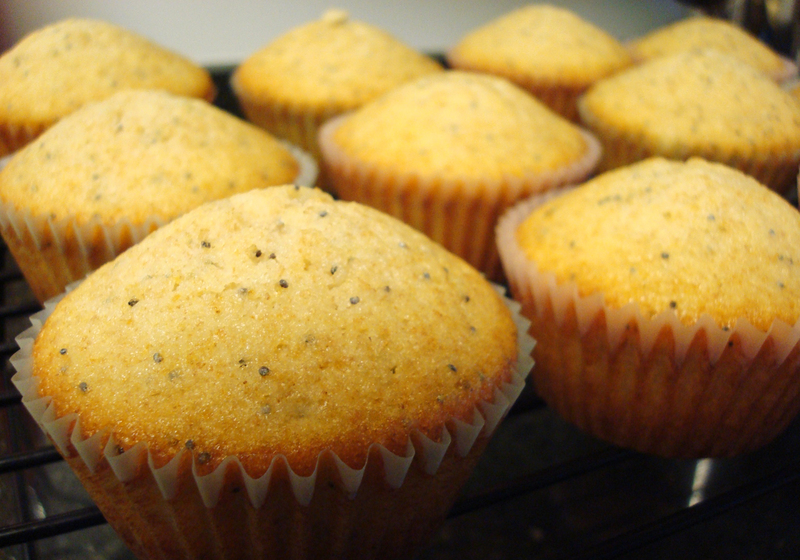 Plain, simple, boring, lemon poppy seed muffins. 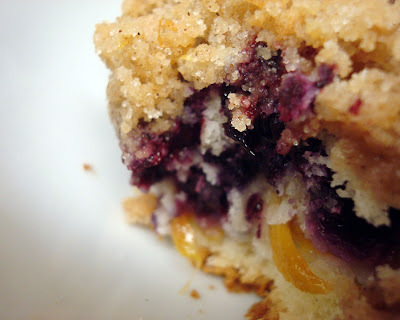 The lemon flavor was too mild, the poppy seeds gave nothing to enhance the muffins. I was so sad. Although I did eat each and every one of them. It’s amazing what a little butter can do to spruce up a less than successful muffin recipe. 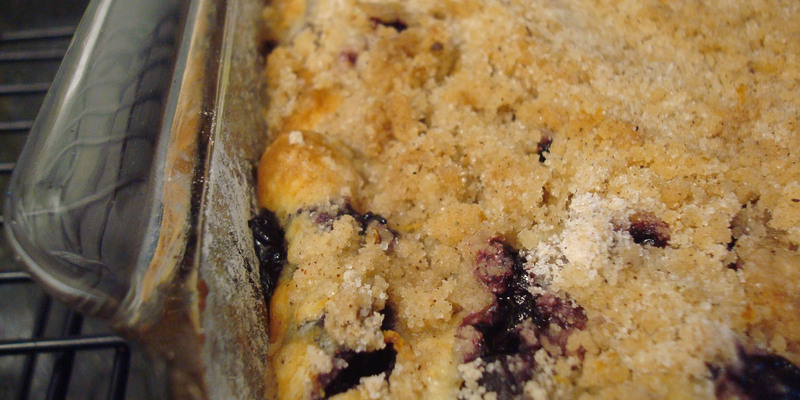 So if you are in the mood for kinda boring muffins, here’s a recipe. I might suggest sprinkling the tops with sugar before baking. You know the kind. 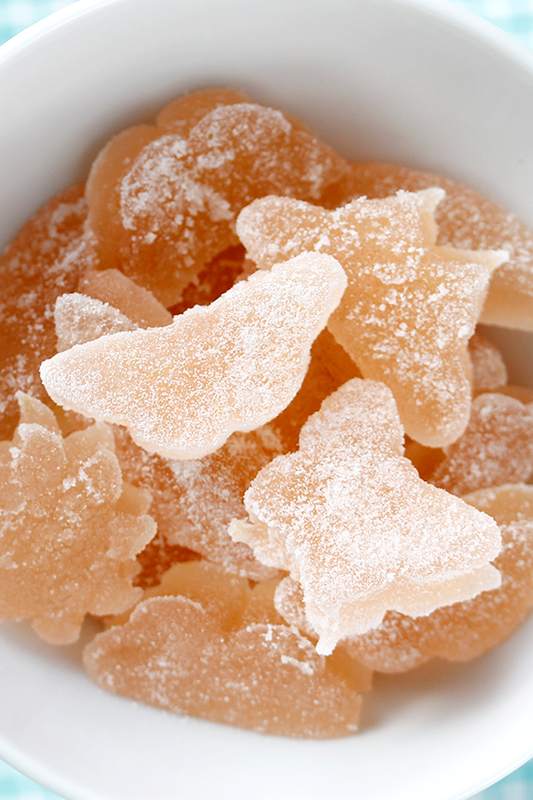 The HUGE sugar crystals? What are they called? Anyways, that might pump up these muffins from their current BORING status. So sad. Sad sad muffins. If you have never been to Madison, Wisconsin, plan a trip. It might sound like a strange place to visit, but there is so much more so be seen than you can imagine. Originally, I was concerned that I was moving to the middle of nowhere. Cowtown, Wisconsin. Would I find things to do? Were there places to go, things to see? What about food? Are there good restaurants in the Midwest? The answer to all of these questions is yes. While Madison is technically in the middle of nowhere, surrounded on all sides by miles and miles of fields, it is not nowhere. The city breathes life. If you can’t find something to do in Madison, then you aren’t trying hard enough. I had my own personal favorites while living in the Mad-city (it is a city, second largest one in the state of Wisconsin!) and you should plan your trip around what you want to do. In the springtime head to the Olbrich botanical gardens to see the flowers. Wander the acres, stop in the herb garden to smell the smells, take a moment at the Thai pavilion or warm up in the conservatory. If you come during the summer, be sure to hit the Art Fair on the Square or the Taste of Madison for a late summer trip. Fall is an excellent time to take a bike ride through the fall leaves, on the miles of bike path that criss cross the city. Don’t come in winter, it’s just too cold. No, really, stay away. Go to Florida. If you find yourself there anytime between April and November, then head to the Capitol. 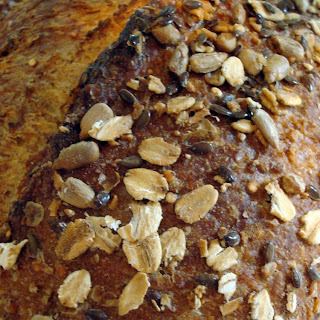 Saturdays from 6am to 2pm you will find the Dane County Farmers Market. It is a mecca for all things fresh and delicious. You can get fresh fruits and vegetables (organic or not), breads, pastries, honey, cheese and so much more. One of my favorite stalls is (was?) located on Main street. A little white tent filled with jewel-colored jars of jam, jelly and preserves. 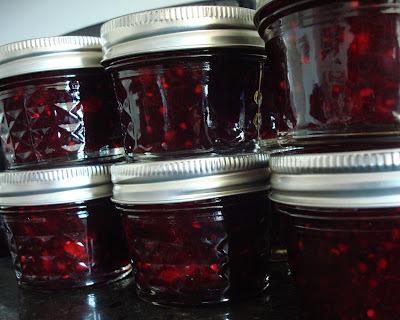 Sparkling in the sun, these jams are all tantalizing, I longed to fill my pantry with all of them. I don’t live in Madison anymore, but I still have a farmers market. 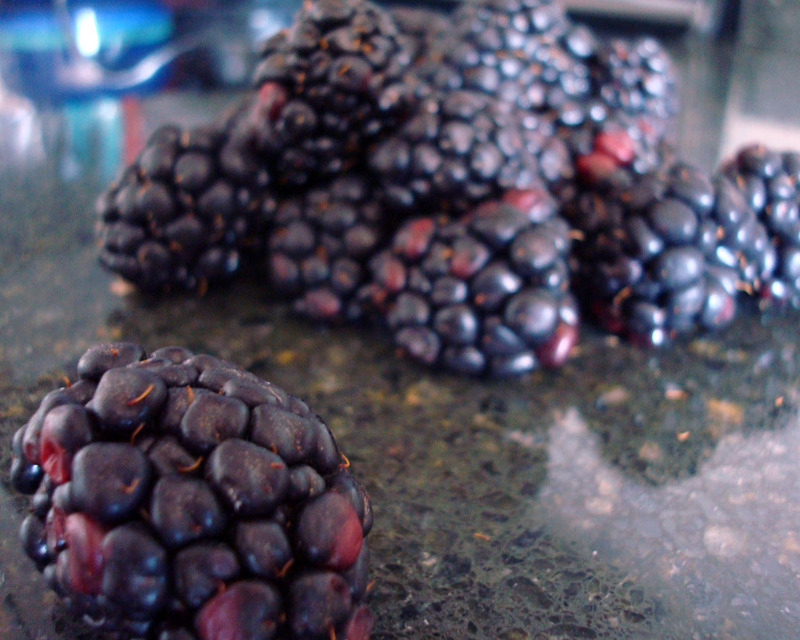 While not nearly as fantastic as the DCFM, I did manage to find some tasty-looking blackberries this past weekend. More berries than I could possibly eat in one week, but just enough to preserve for the whole year. These berries would be jam and my bright summer days would last me through the dark days of the winter. We are coming to those last precious days of summer. August is winding down and fall is right around the corner. As a kid, I always loved this time of year. As we have previously discussed, I’m a bit of a nerd. By the last week of August I was ready to go back to school. I loved getting my school supply shopping list in the mail. I would beg and plead my mom to go to the store and pick everything up right now! We would go to Vix (in the days before Target in western New York) and I would look thru the aisles at all the new school supplies. Even though I already had two sets of colored pencils, they simply would not do. It was a new year, I needed new pencils! Same goes for folders and pens, binders and erasers. A new year meant a new beginning. I was always a fairly simple shopper though. I was never one to get bright cartooned folders or Trapper Keepers (c’mon, you remember). I wanted plain colored binders and a matching folder to go along with it. I had that kind of OCD. The organizational OCD. I would write my name on all my new supplies and lay them out, ready for school to start. In these last few days of August, there is something else to revel in. Stone fruits are at their best right now. I’m talking peaches, nectarines, plums. Those fruits that, when eaten by hand, make an enormous mess of everything in a five foot radius. I find myself in the grocery store or at the farmers market, fondling and smelling the peaches. Keep your peaches away from me, I just might accost them. Fruit Buckle – A single layer of cake, generally with berries added to the batter, topped with streusel. 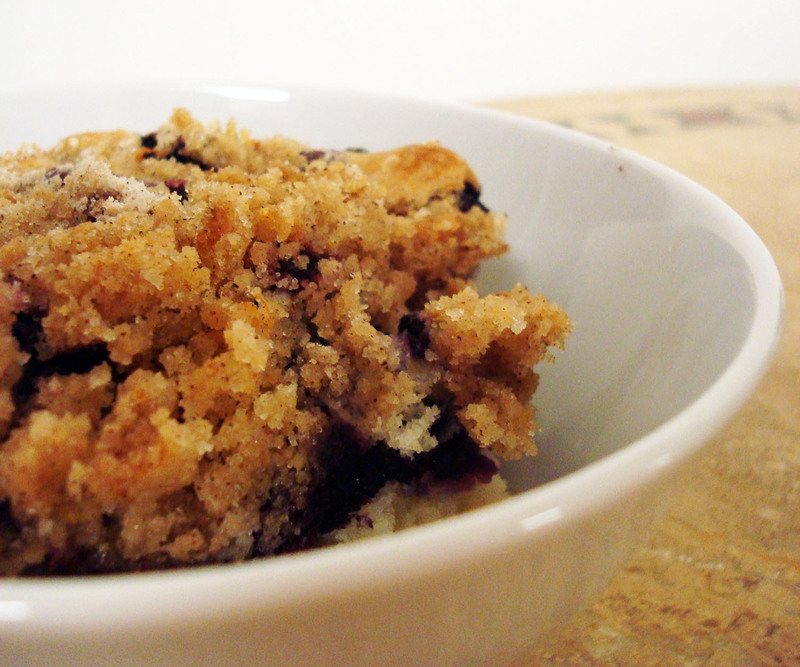 Also known as a crumble. 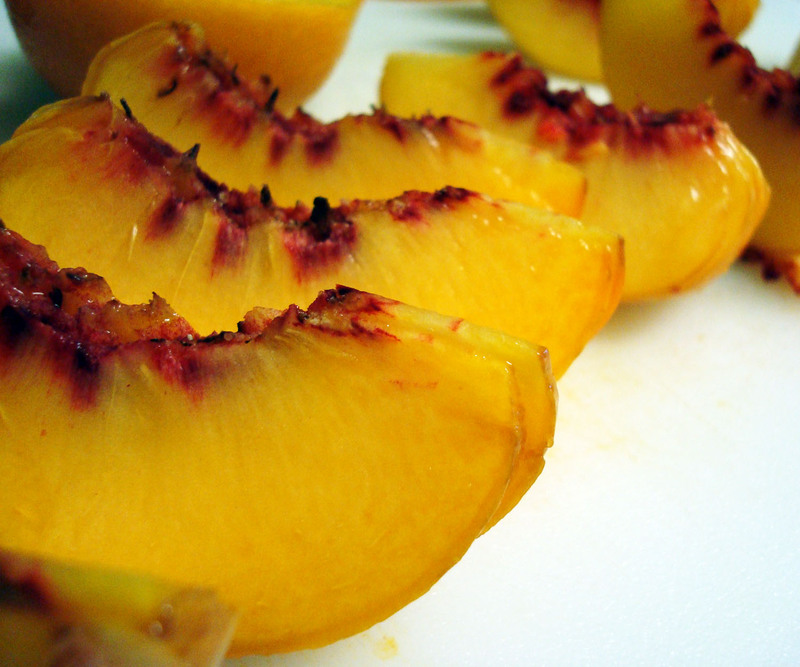 Now that you know what you are baking, head out to the store (or the farmers market) and get yourself some peaches. And some blueberries. 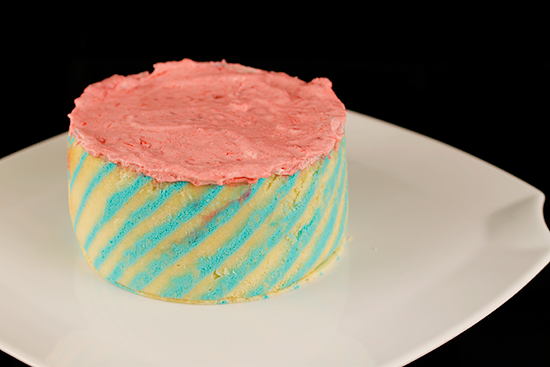 There, now we’re ready to bake. Nothing says summer to me more than lemonade. If you were to offer me a glass of lemonade in the winter I would scoff at you. Lemonade? In the winter? Why would I possibly want that? Winter is a time for hot drinks and stews, although I could go for a Starbucks apple cider anytime of the year (the baristas think I’m weird for wanting hot apple cider in July). 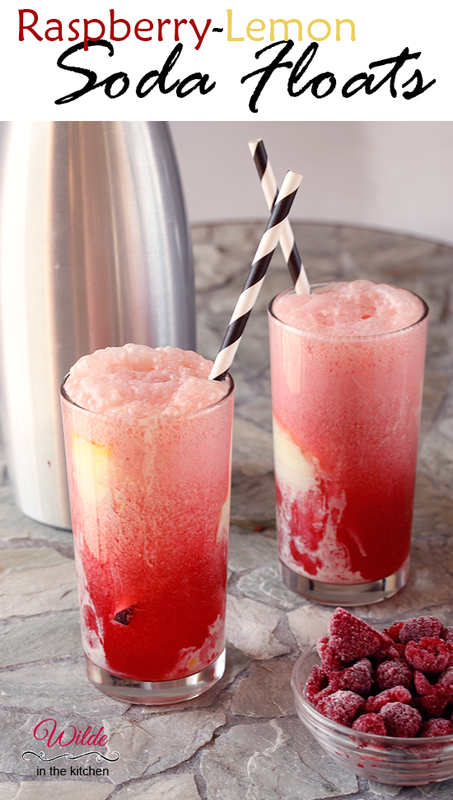 Summertime is time to drink lemonade and limeade. All those tart fruits speak summer to me, although I’m not quite sure why. Lemonade is one of the least thirst-quenching drinks around. This is not the beverage you should reach for after a long run or while moving your friends couch up three flights of stairs. You should also not have it with salt and vinegar potato chips while sitting in the sun, then go to the gym and teach a class, bad idea. It is a drink that you must enjoy while doing absolutely nothing. Sitting by a pool and enjoying lemonade is even better. This way, you can have a sip of lemonade, and then jump in the pool to refresh yourself. Summers of my childhood were filled with tall glasses of lemonade, condensation pooling around the base of the glass, letting you know that it was cool and delicious. 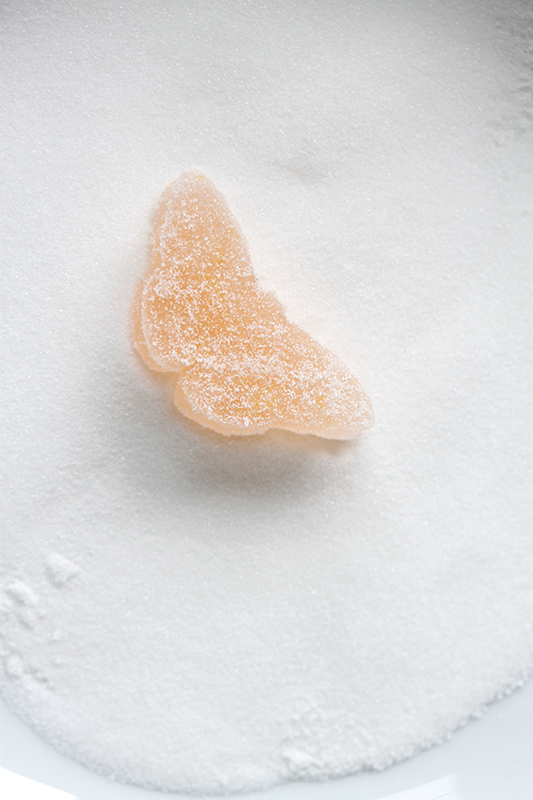 Now, in the last hot days of the summer, I find myself wanting citrus. 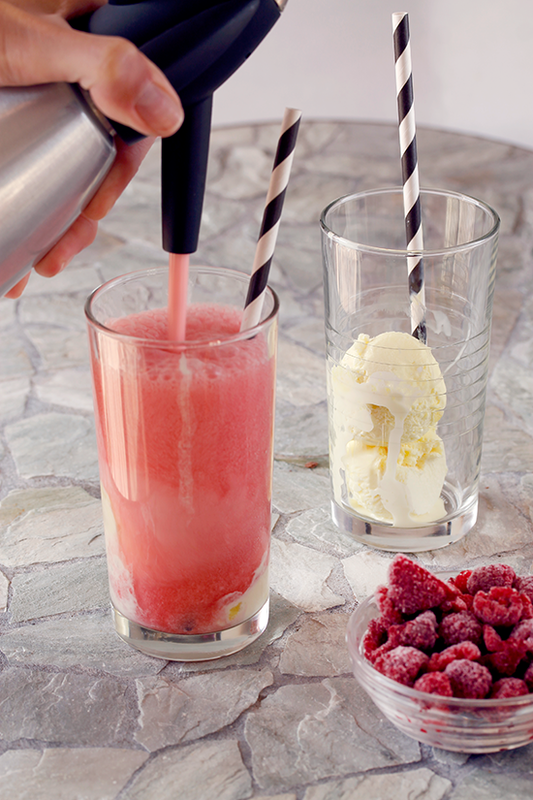 Drinking pitchers of lemonade aside, there are other options for enjoying a refreshing meal. Namely, Chicken Piccata. 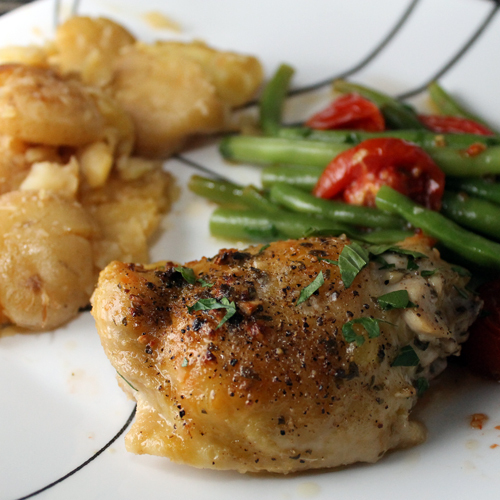 This dish is lemony and buttery. 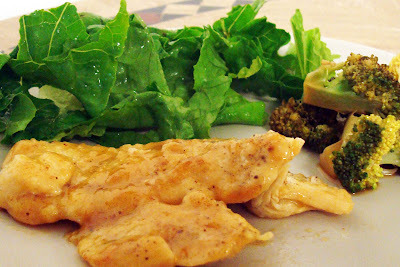 It can be salty too, if you remember to add the capers, which I did not… The first time I made this dish I fell in love. 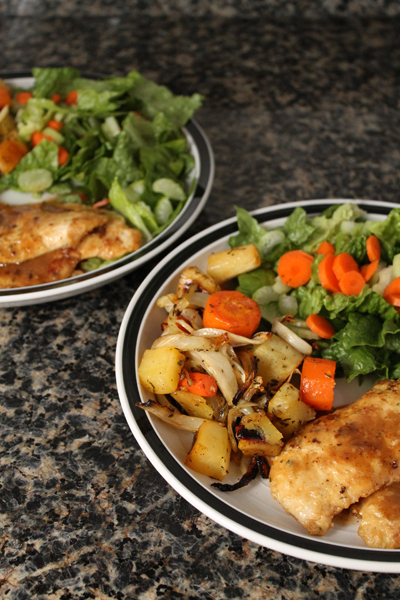 It’s unbelievably simple to put together (it takes about 15-20 minutes to complete) and is best served simple, alongside a fresh salad. Enjoy the last warm breaths of summer. Go to the store and get yourself some lemons, get yourself a whole bag. Then make some lemonade, and chicken piccata. Just don’t have them together, or you’ll be drinking glasses and glasses of water for the remainder of the day. 8. 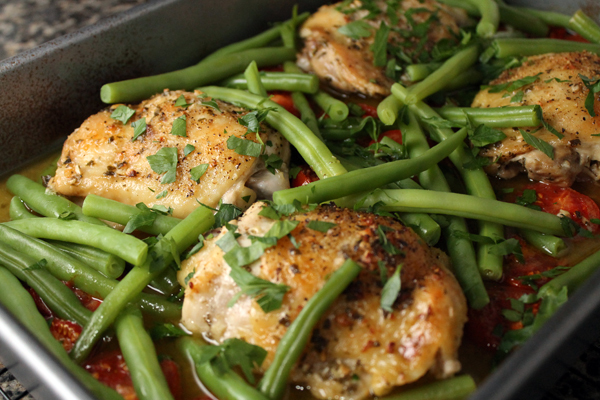 Pour sauce over the chicken and enjoy! Ever since I moved away for grad school my parents missed me. It’s because I’m so awesome. They decided that they simply had to come and visit. Although I’m not entirely sure that it was just me that they wanted to come and visit, perhaps it was the draw of seeing Wisconsin? The mystery of a state known for Dairy products and beer? Personally I was leaning toward the idea that they were coming to see their favorite (read: only) daughter, but I could be wrong. Wisconsin is not just home to cheese with a love of all things brewed. There is a museum, devoted to one man’s love, of mustard. Our first trip to Madison, Wisconsin was the conclusion of one very long road trip. Well, I suppose it was the conclusion of the trip for me, they still had to make the return trip (winner!). Fourteen hours in two cars, covering six states, our arrival in Wisconsin occurred around ten o’clock at night. The bed at the Marriott was certainly welcoming and, most importantly, stationary. The next morning we were greeted with a beautiful summer day. If you have never spent a summer in the Midwest, please take a moment to imagine… The sun is blazing down, the temperature is a warm 80 degrees and the humidity made it feel like you were swimming. August in the Midwest is both wonderful and terrible at the same time. Today, it would be the latter, because today, we were moving furniture. Nothing can take away from the fact that this was to be a BIG day. Moving into my first apartment, by myself, in a state that I had previously only spent two days. It was just going to be a HOT big day, as temperatures were to slowly creep into the low nineties. Luckily I was only moving into a first floor apartment (just a half-flight of stairs to climb) and my dad and I have enormous muscles. 300-lb desk? Sure, one arm. Boxes full of books? Just pile those on top of this couch and I’ll handle it. We’re huge, really. Many more Madison stories are in your future, but the first thing you must do when getting to Madison, it have some ice cream at the terrace (if it’s past noon, you can have a beer). Nothing is more fantastic after a long days work than getting a bowl of UW ice cream and enjoying the breeze off lake Mendota. The boats sail by, the ducks play in the water and the sun sparkles across the lake. 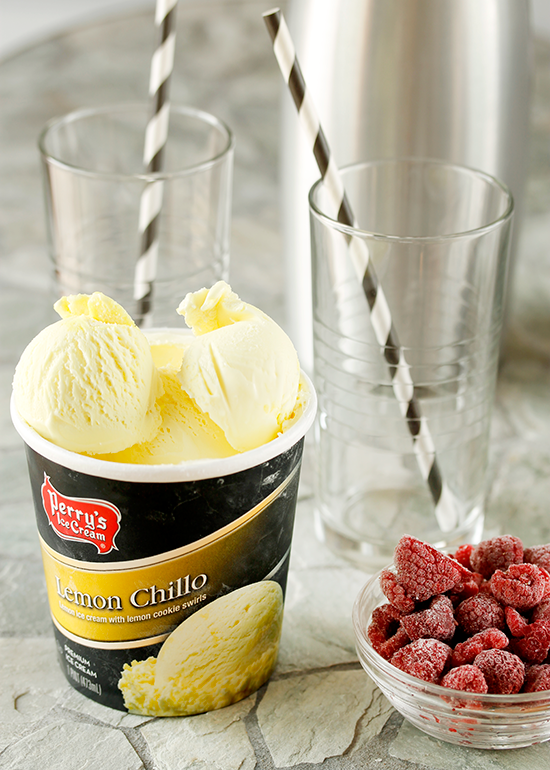 Eat your ice cream, get a little sunburn and relax. The following morning, after our huge muscles screamed at us for a bit, we decided to hit the restaurant and refuel. This was the beginning of a wonderful tradition, Crunchy French Toast. Every Marriott across the country serves this awesome recipe. Listed as a “healthy option,” one can trick themselves into eating the whole plate (do not do this, eat half, save some for tomorrow). On their subsequent returns to both Madison, and Colorado, my parents and I enjoyed many, many plates of Crunch French Toast. 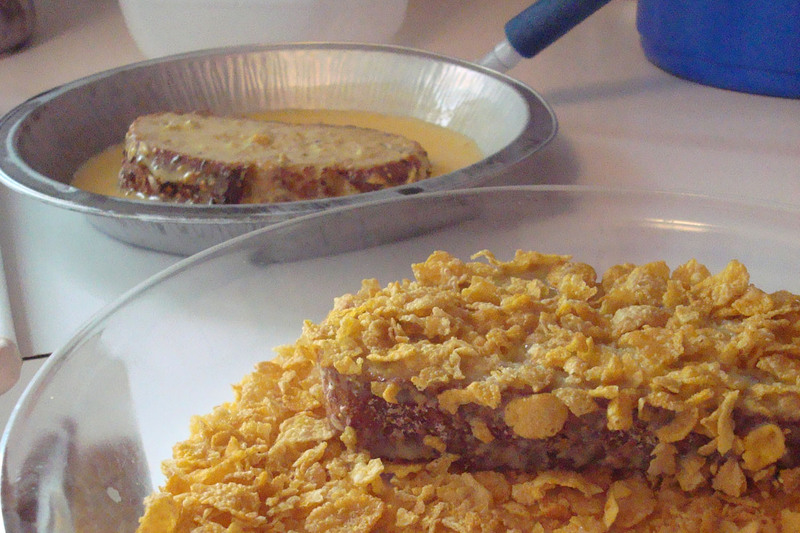 This is a take on the Marriott’s recipe for Crunchy French Toast. While I know someone who has the exact recipe, they were unwilling to divulge the hotels secrets. I’ll have to try harder next time. 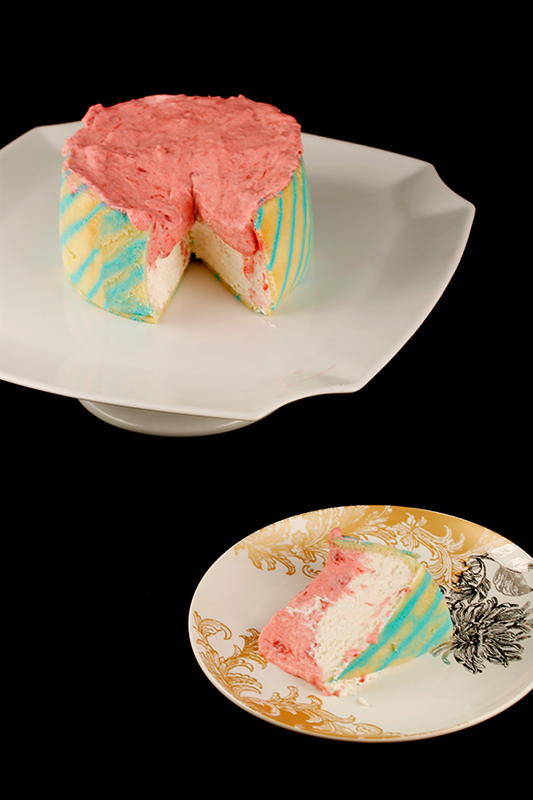 The original dish is served with bananas and strawberries, while I decided to serve it with a lemon-raspberry sauce. While these are a good attempt, I will still find myself at the Marriott, eating plates and plates of their Crunchy French Toast. In a small saucepan combine raspberries, water and sugar. 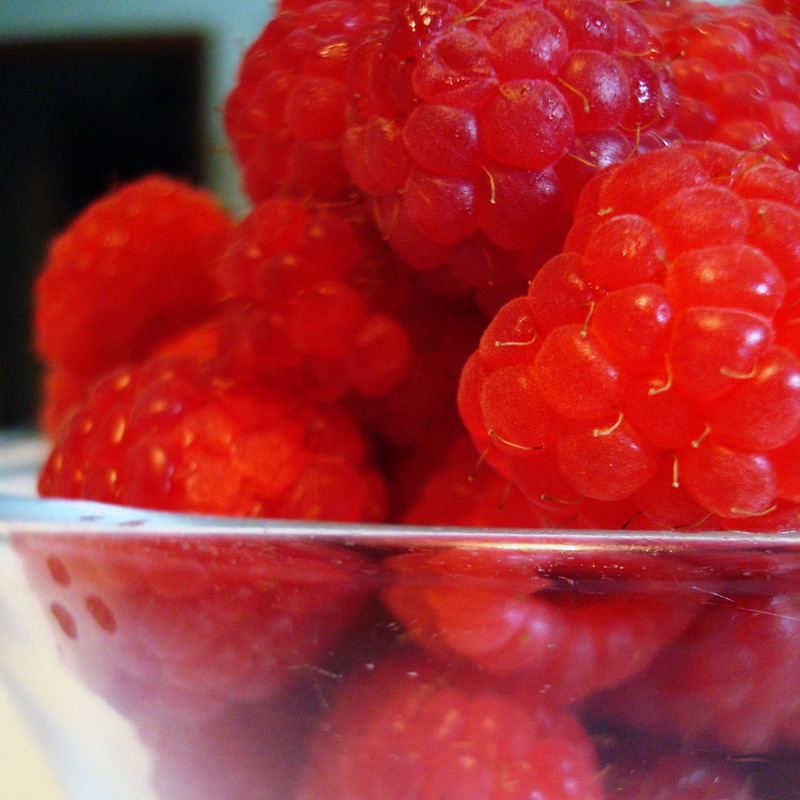 Heat over medium-low until raspberries begin to break down. 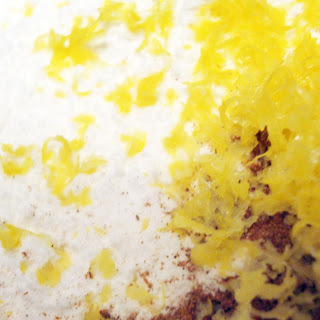 Add zest of half a lemon and cornstarch. Turn up heat to medium-high and heat until thickens. Add 1 tbsp lemon juice and heat until desired thickness. 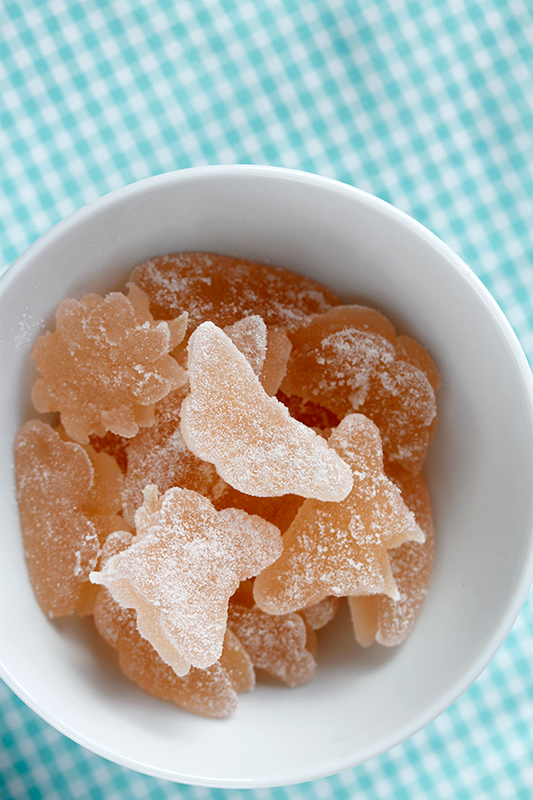 Mix Egg Beaters and vanilla in a shallow dish. 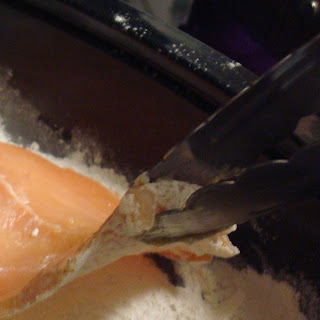 Coat bread with egg mixture, allowing to sink in for a few seconds. 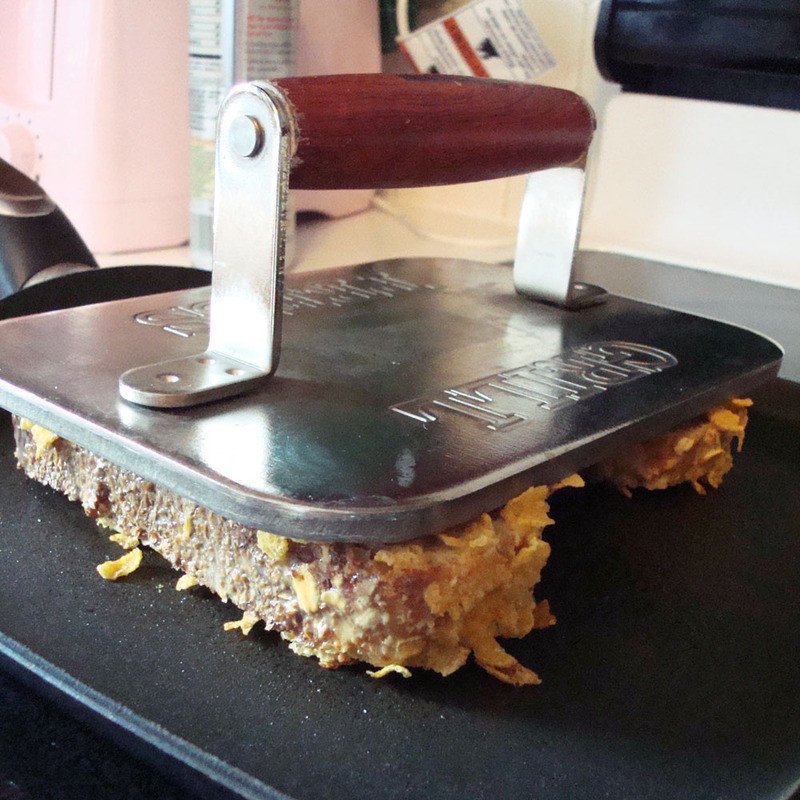 Coat bread in Corn flakes, pressing down so they stick. Place coated bread on griddle and weigh down with a grill press (or Panini press or weighted pie pan). Cook over medium heat for 3-5 minutes per side (or until crunchy and golden-brown). 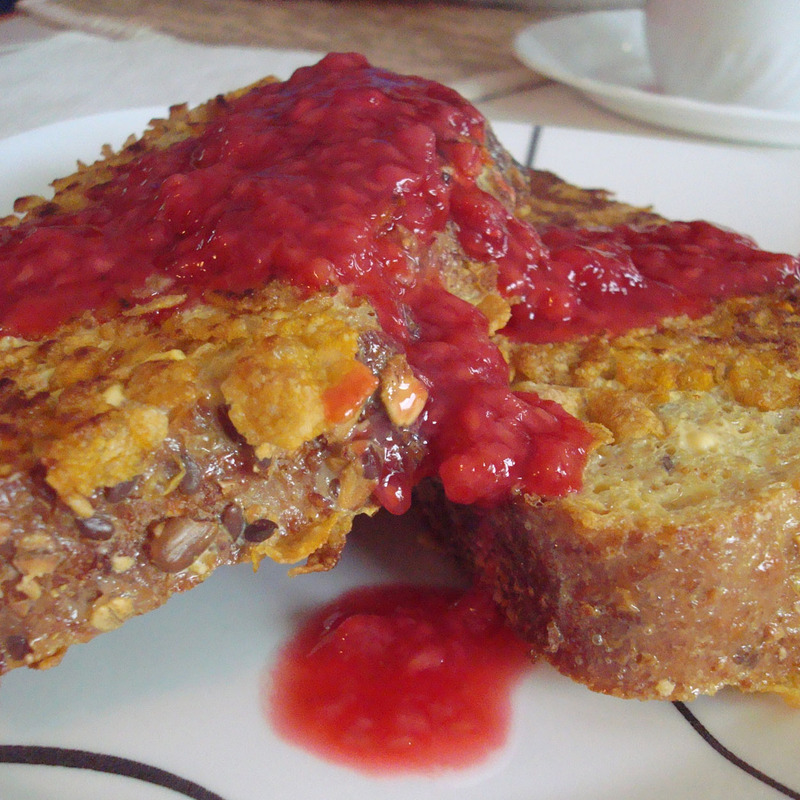 Drizzle 2 tbsp raspberry lemon sauce over French toast. 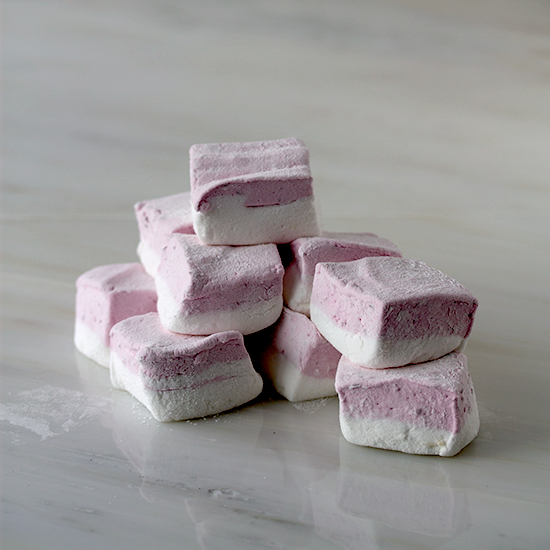 Sprinkle with some powdered sugar if the raspberry lemon sauce is a bit too tart for you! Enjoy!